I have reached the finishing line. 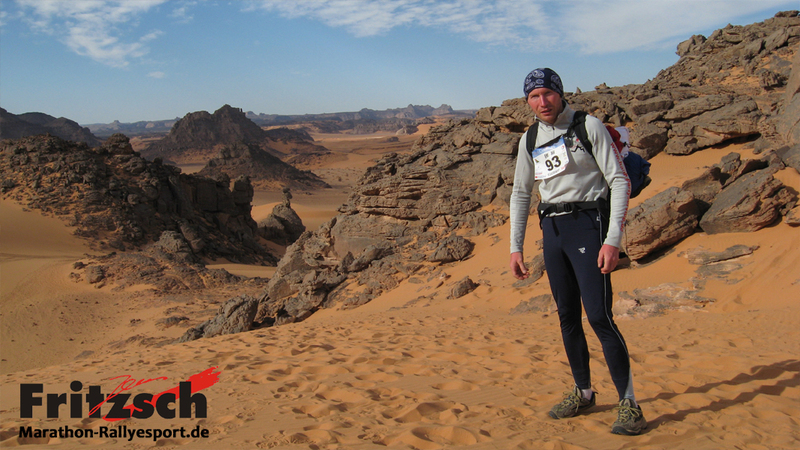 After a good preparation phase and in pacing myself, I was the 80th finisher of the Libyan Challenge desert marathon. 22 participants out of 115 starters had to give up during the race. I missed my personal aim to finish within 60 hours only by 4 hours and 54 minutes. Here are a few impressions of the race. You can find a detailed report about this experience further below. 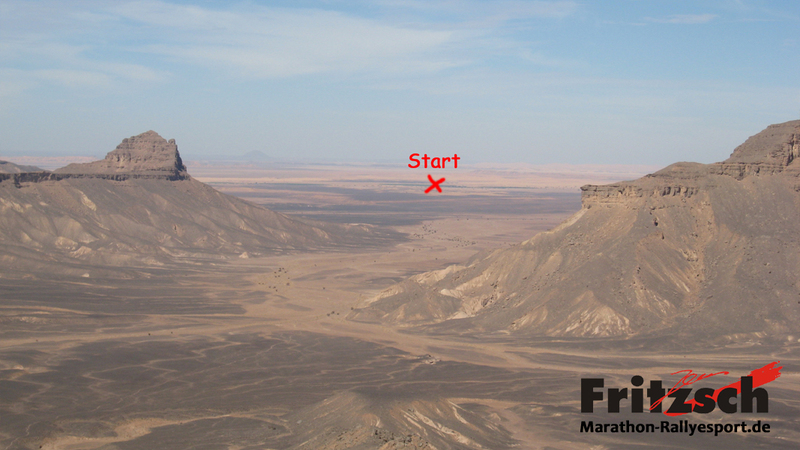 Thy Libyan Challenge Ultra marathon is a 190km non stop desert run through the Akakus mountains in the south west of Lybia. There is a limit of 100 participants. The race will be started on the 24th February 2009. Participants must be in physically and psychologically top condition. The accredited race doctors will therefore check their medical certificate. With the help of a roadbook and a GPS, which has to be brought along by every participant, the runners are on their target through the labyrinth of the Akakus mountains towards the finishing line in Ghat. Those who want to see the checkered flag within the maximum allowed time of 75 hours have to pace oneself and to cleverly portion the available water and food. The Akakus mountains, geologically an eastern foothill of the big Algerian Tassili mountains, must only be visited by Tourists in guided tours with experienced native tour guides. One can very easily lose ones orientation in the widely ramified so called Wadis (dry rivers). Due to security reasons it is not possible to buy a reliable map of the region. Even with GPS waypoints there is always the danger to run into a Wadi. Suddenly the targeted route can be blocked by a insurmountable barrier and you have to run back all the way. Once you are there again you have to take the next difficult decision, i.e. whether to take the right or the left neighbour valley in order to be on the right curve into the right direction. According to the newest research status, there are by far not all of the Wadis explored by now. But it is well known that the most and the most beautiful stone paintings are to be found in the southern Akakus mountains. Despite of the maximum possible idealism, such sportive events are not feasible without the support of sponsors. Many companies have already realized the opportunity for Marketing and PR since the the Libyan Challenge Ultra marathon is not only of a huge interest to the public during the competition but also during the preparation phase and after the race. Regional, german-wide as well as world-wide radio and TV broadcast stations, as well as daily newspapers and magazines are interested in interviewing the teams. 400 articles in newspapers, radio interviews and a TV broadcast are the proof, that German participants are rather an exotic exception in such a race. Many thanks for the support of my sponsor - Hahn Catering - The professional Caterer for big events. Here you can see my shirt and a map of the geographical surroundings of the Ultra marathon. If you are interested in a spot on my race shirt as a sponsor and thus would like to support me in one of my next Ultra marathon events, please give me a call under +49 172 4659430 or send me a mail. Become a sponsor? 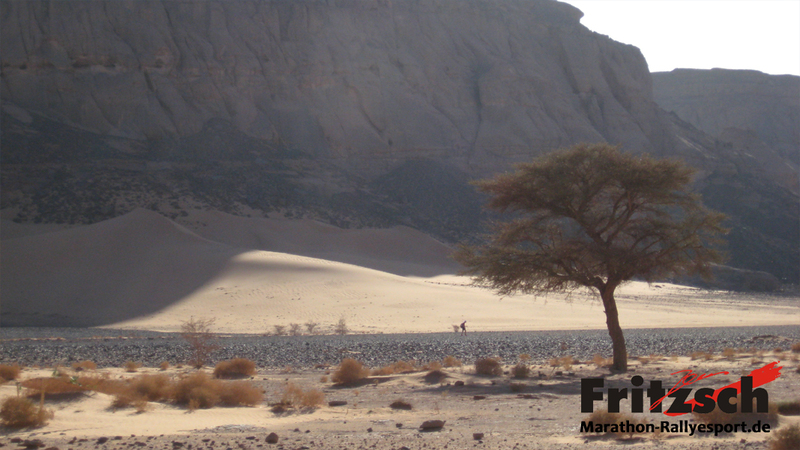 Thy Libyan Challenge Ultra marathon is a 190km non stop desert run through the Akakus mountains in the south west of Lybia. The race was started on the 24th February 2009. Participants must be in physically and psychologically top condition. With the help of a roadbook and a GPS, which had to be brought along by every participant, the runners were on their target through the labyrinth of the Akakus mountains towards the finishing line in Ghat. Those who wanted to see the checkered flag within the maximum allowed time of 75 hours had to pace oneself and to cleverly portion the available water and food. One day before the start every participant had to present onself to the race doctors with a medical certificate and an ECG both not older than one month. 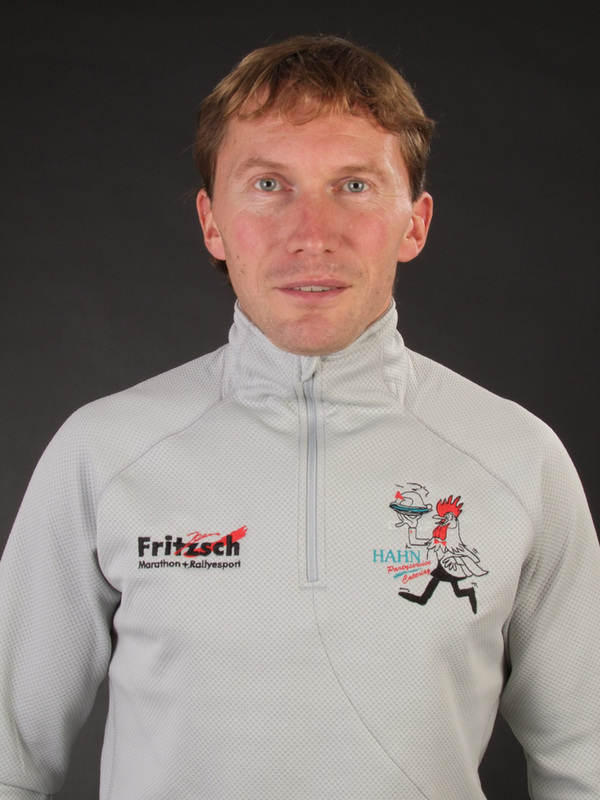 Jens Fritzsch saw no difficulty in the distance of the race but in the distance profile. Soft sand dunes alternate with boulder. 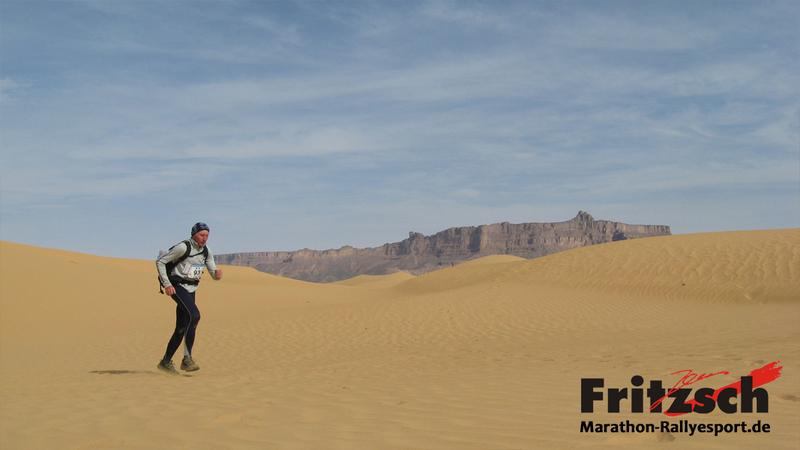 The most difficulties came up when stone desert was mixed with sand which made a constant rhythm of running imposible. 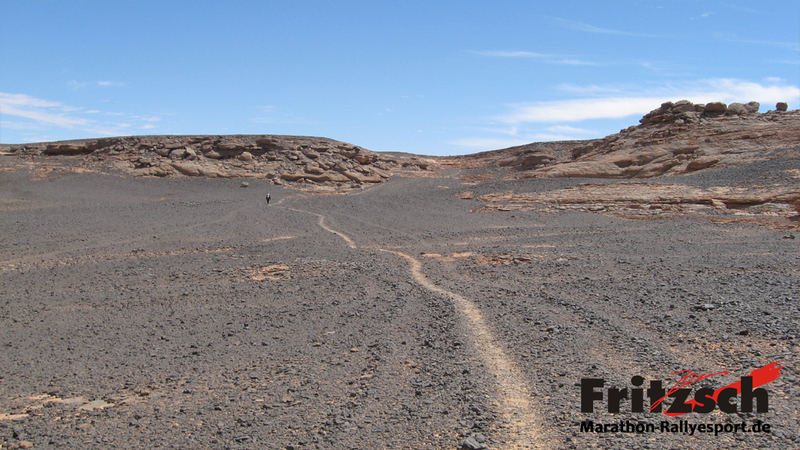 We run along camel paths through the mountains, often with height differences of 500 meters. Nevertheless Jens Fritzsch had always an open eye for the outstanding landscape around himself, especially the world famous stone paintings in the Akakus mountains. To run through the night meant very pleasant temparatures (appr. 5 degrees centigrade), but on the other hand it meant difficulties in sight and orientation, because there was also no moonlight. Additionally Jens Fritzsch made the experience of the danger to run in a circle at night, if you don’t look at your GPS every 200 meteres. Although you are totally convinced that you run straight ahead, you run in a circle. At least he did so. Day temperatures of 30°C and a backpack of 10 kg were the next challenges. In the special running backpack which was immovably fixed on the body were 7000kcal of food, a survival kit consisting of salt tablets, a distress beacon, a snake bite set, knife, mirror, signal pipe, lighter, torch and a survival blanket. Jens did not make the acquaintance of a snake, but sometimes a camel crossed by enviably fast. About every 20km every participant had to come to control point to get registered and to receive the next 4,5 litres of water which must be sufficient up to the next control point. Jens always kept a half liter of water as a last reserve in his backpack which he only would have used in an emergency. The race doctors checked the general physical condition of every participant at any control point. They did not take care of blisters which are quite normal under such running conditions. Sometimes Jens saw the control point already long time before he reached it but it seemed as if he would not come closer at all. Once it was finally reached one was very happy about a few signs of civilisation. After the last control point it seemed that the organisers wanted to show the participants for a last time how difficult it can be in the desert. The last 13 km lead through a labyrinth of dunes. 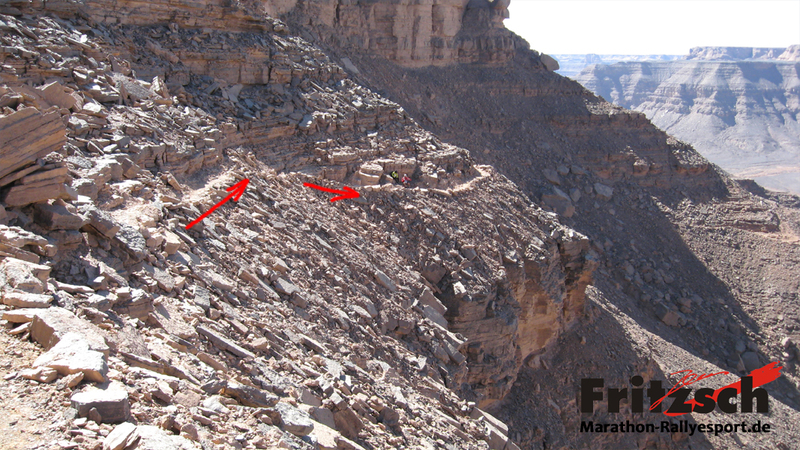 For Jens this last stage became very difficult since in the night there were no traces of other runners and since a dune always only became visible in the last moment when it was mounting like a wall directly in front of him. Without the GPS he would have been absolutely lost within the dunes. Meanwhile he was also already tired of dumping the sand out of his running shoes again and again. After 64 hours and 54 minutes of running Jens came to the finishing gate at 2:30 a.m. in the night. This meant the 80th place. He can live with this since he took his time during the race to take some spectacular photos. He said: it took me some valuable time to take those pictures but the visitors of the slide show I am gonna hold will maybe like them and so they can get an impression about this running adventure. 22 runners could not fulfill their dream of reaching the finishing gate.